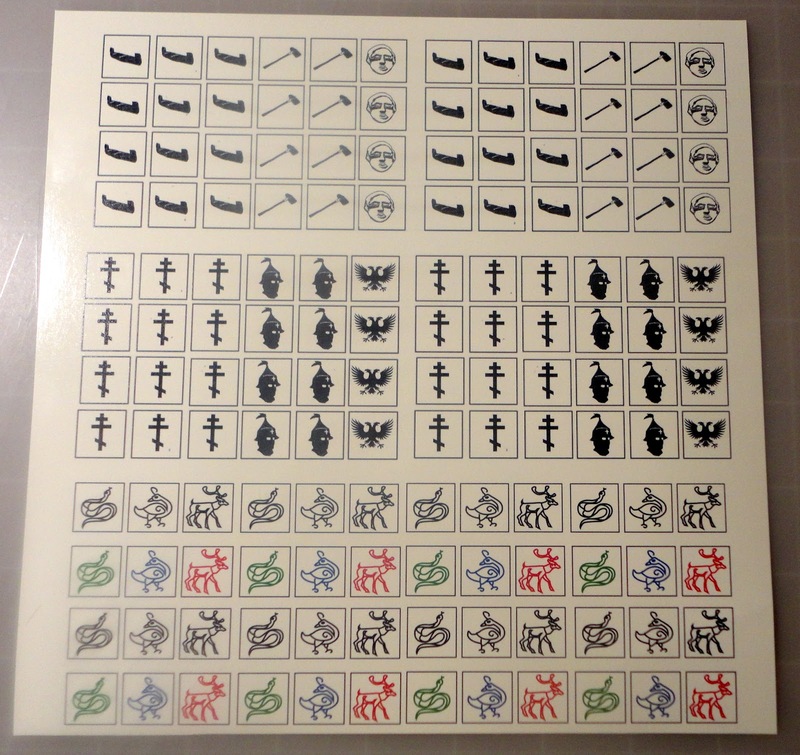 My previous homebrew SAGA dice have been printed on decal paper or on regular paper and affixed with spray adhesive. I am now working on something a little more professional looking, waterslide decals. This paper can be obtained fairly reasonably from a variety of sources, I found mine on eBay years ago for a guitar related project. At any rate, I have about a dozen sheets left, great for a variety of uses. I create my custom pictures using a freeware program calked PhotoFiltre, or use the image files on the Studio Tomahawk forum. The SAGA community should be really thankful that the game designers have opened so much of the game up to fan experimentation. I tried to put as many decals as I could on a page. The decal paper is not very expensive, but I hate to waste space, and I could always make extra dice for friends I am trying to hook on SAGA. Spray the printed sheet with a glossy sealer, let dry for several hours. Carefully clip and dip your decals in a cup of water for about 30 seconds. 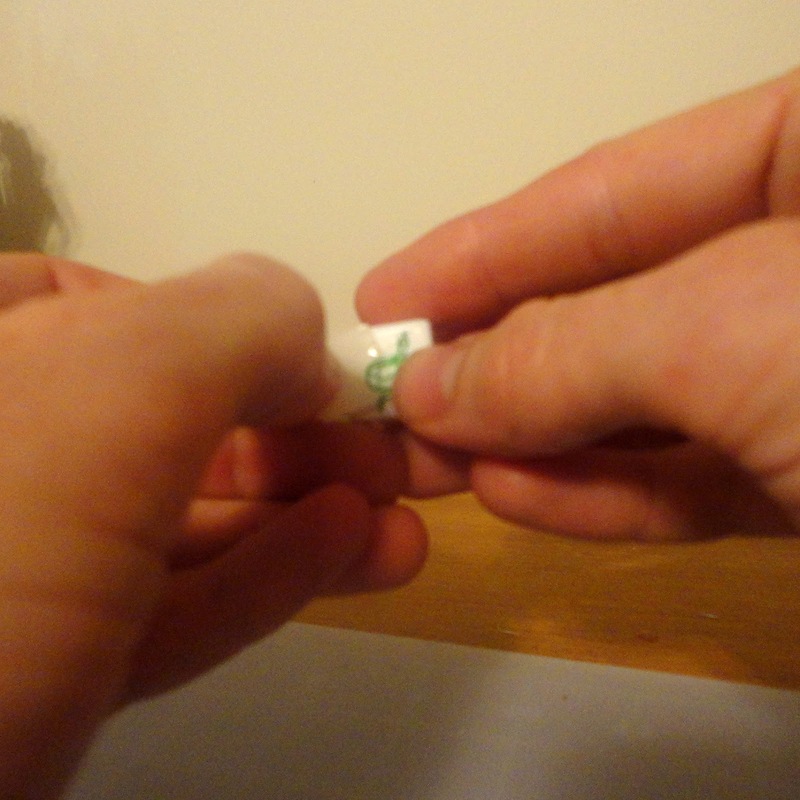 You want the decal to slide off the paper and onto the surface of the die. Too much submersion and most of the adhesive is leached away, too little and the decal will not come loose from the backing. SAGA Dice for Woodland Indians or "Skraelings"
Finally, I sprayed the gloss sealer on the dice, a couple of coats to get all the sides. All together, it is not terribly expensive to produce a set of dice this way, but it is time consuming. Of course, one could always use regular d6, but without getting too pretentious, part of the appeal of rolling dice in general and SAGA dice in particular is its connection to ancient ritual behavior. The earliest dice to prehistoric and ancient men were "knucklebones," or the anklebones of livestock or hoofed game like deer. Symbols and runes were marked on the sides for use in shamanistic rituals...or mostly gambling. Symbol dice seem to carry greater significance than just a number of dots. Thanks David. 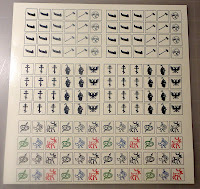 Sure, if you want just the decals or dice, send me an email at adehewes@gmail.com . Hi I was wondering if there was any chance that you could send me a jpg of a the sheet of your Skraeling dice. I am just doing up some dice for my saracens, so I thought I would do some for my Skraelings as well. Great work! Just one question: how durable are these dice? Are they fading after repeated use? The transfers on my dice held up fine - but I play maybe twice a month, and rotate through the factions, so no one set of dice has been heavily used. I also take the time to spray glossy sealer on every side of the dice. Spray, let the coat the dry, turn the dice and repeat often. 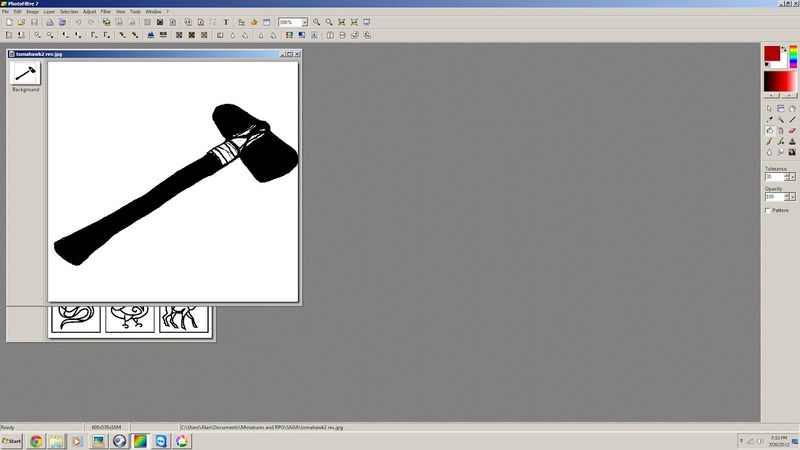 It can take days to finish, but the image is well protected. Hello, just wondering if you would be willing to share the jpg of your custom dice? I'm interested in Saga but their dice are a little steep. Alan... you could start a little business I do believe! Are you are still doing SAGA. I was actually searching on line for Samurai symbols for dice (we are paintiing Samurai Saga stuff) and came across a photo of your tri-color dice. Clicked on them and BAM I'm here. Crazy!